The Apple company was founded in 1976 by Steve Jobs, Steve Wozniak and Ronald Wayne. The company has already crossed its 40-year-old line and can definitely boast of certain achievements and a great Apple collection. At the time the company was founded, Steve Jobs turned 21, Steve Wozniak - 25 years old and Ronald Wayne - 41 years. This significant event took place in the house of adopting parent of Steve Jobs, or should it be said in the garage. The interesting coincidence or a regularity? However, many famous world brands that cost billions of dollars started their journey in an ordinary garage. In May 2011, according to the rating of the research agency Millward Brown, the Apple brand was named the most expensive brand in the world and according to Forbes data for October 2012, the Apple brand hold the top spot in the rating of “Top Influencers”, thus leaving such brands as Coca-Cola, Microsoft and IBM behind. By the way, in August 2018, Apple became the first company in the history, the value of which reached $ 1 trillion. So, what differs Apple among many thousands of companies and competitors, allowing it to earn billions of dollars? After all, now Apple is more than new IT technologies and modern Apple products. 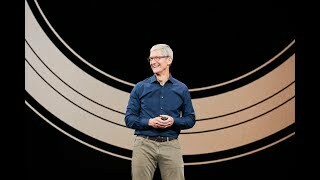 The company has its own unique reputation, a recognizable Apple design, a successful public image and a whole culture in the industry of consumer electronics. In a nutshell, Apple and the Apple collection of devices are a legend. The first Apple logo was created by Ron Wayne and was used for about a year. The next Apple icon was a colored nibbled apple designed by Rob Janoff. This logo existed in the company from 1976 to 1998, after which it was replaced on a monochrome one that is used at the present time. 1976 - the launch of the first Apple computer - Apple I. 1977-93 - the release of various models of computers Apple II. It became the first computer serially produced by the company. 1980 - is characterized by a failed release of the Apple III. This computer turned out quite raw. It was constantly breaking down and, besides, there were very few offers on the computer software market. 1984 - Apple is introducing a new 32-bit Apple Macintosh computer, named by developer Jeff Raskin in honor of his favorite apple variety. From 1996 to 1998, Apple experienced dramatic changes. Starting with 1996 the special event called Apple Design Awards takes place every year in order to identify the most talented, innovative hardware and software development for Mac OS X from independent developers. 1998 - As a result of the work done on the wave of computer technology, appeared a new futuristic model Apple iMac G3, which became the fastest-selling computer in the history of Apple. 2001 - presentation of the first Apple iPod Classic music player. Alongside the presentation of the iPod, Apple opens its first two Apple Store. 2003 - presentation of the music online store iTunes Store. 2006 - the release of the first Apple MacBook Pro. 2007 - release of the iPhone smartphone, which was announced by Steve Jobs himself. 2008 - Apple releases the world's thinnest laptop called the MacBook Air. 2010 - Apple releases Apple tablet called iPad. 2015 - the world sees first Apple Smart Watch. 2016 - the first Apple AirPods were introduced to the public. As you see, the Apple collection of devices is huge and they are not planning to stop. Apple has always been very creative in making commercials. The first Apple 1984 commercial video was highly appreciated by professionals and it won the Grand Prix at the Cannes Lions Advertising Festival in 1984 and is considered a "turning point", "masterpiece" and "best advertisement of the 1980s". 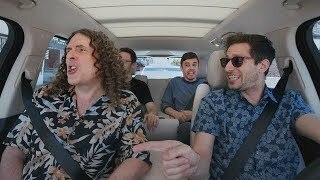 You can get to know their commercials on the official channel on the YouTube. Here is the list of top solutions for the fans of Apple technologies. Requirements: macOS 10.10. 19.75MB free space. Version 1.7.4(2445). (21st Sep, 2017). Commander One is a powerful file manager that allows you to work with local and network resources (including root-rights), select several files and copy them in the background, if necessary, specifying new names in the corresponding dialog. The built-in viewer supports documents, images, media files, and HEX. Also, in the application, there is an archiver, a powerful search with the support for regular expressions and the option to display hidden files. All actions are invoked with hotkeys that can be reassigned. Commander One can be useful to owners of iPhone and iPad or ony device with MTP. Yes, you got it right, right from the Commander One panel you can access the User / Media folder of your device to quickly move or view recently captured photos and videos. 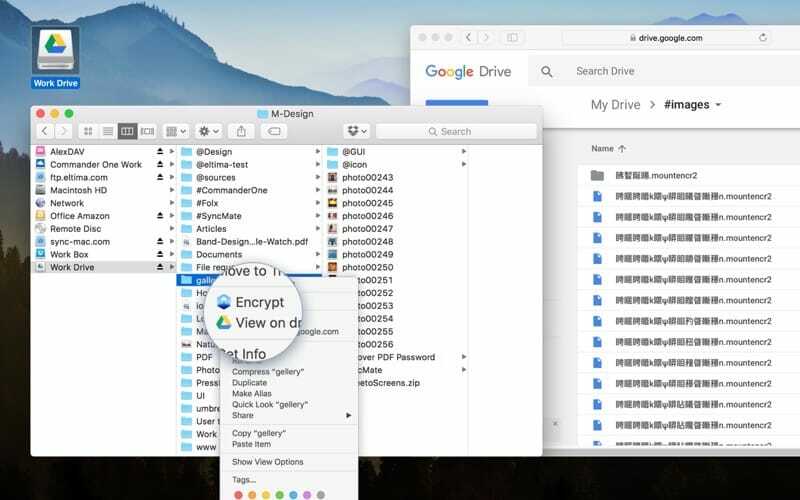 In addition, the app perfectly works as FTP-client with FTP, SFTP and FTPS support and the ability to save all settings and passwords in the "Keychain". Also with the help of Commander One, you can connect popular cloud storages to your Apple MacBook Pro/computer as regular folders. Requirements: macOS 10.10. 32.15MB free space. Version 3.4.546. (9th Sep, 2018). CloudMounter works with cloud services, allowing you to mount remote storage as local disks on your Mac and work with online files as local. 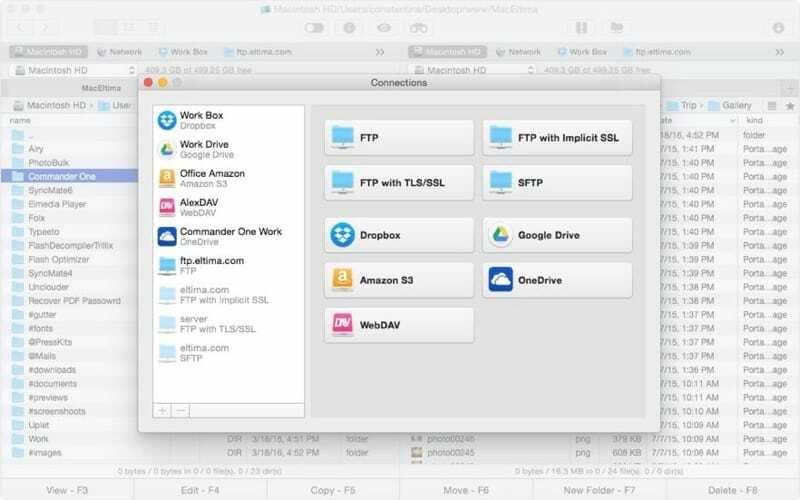 The utility supports FTP / SFTP, WebDAV, Dropbox, Google Drive, OneDrive, Amazon S3 and other services.It is worth mentioning that in the case of Amazon S3, you can connect either the entire account or some of the bucket. In fact, CloudMounter is a connection manager, which makes it possible to work comfortably with various cloud services. It acts as a bridge between the Mac and remote services, integrating online resources directly into the Finder. In addition to supporting a large number of Internet services, CloudMounter is also a safe and friendly solution. The app uses AES-256 in order to protect your online data. Mount the service you need and enjoy the simplicity of working with it. Requirements: macOS 10.10. 9.73MB free space. Version 2.1.246. (7th Feb, 2018). 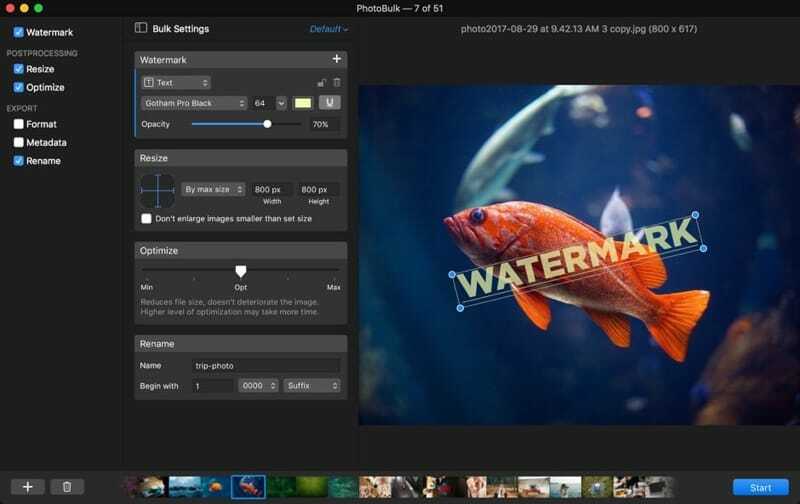 PhotoBulk is a program for batch image processing, as well as applying watermarks. This batch image editor can shore up when you deal with innumerous number of images. Open the app and drop the images you want to edit into the program window. Further, depending on the needs, select the necessary editing options: resizing (there are 5 options for editing the original image), optimization (optimize the image size without changing its resolution), renaming (standardize file names by adding different prefixes), apply watermarks( text, logo, date stamp, script), specify their location and choose transparency. PhotoBulk cares about your free time that is why it allows you to save the preferred settings as preserves and to reuse them later. Due to the feature of Live editing, the app is rather simple to use. Requirements: macOS 10.9. 16.15MB free space. Version 1.5.214. (13th Dec, 2018). Uplet is a minimalistic tool that allows you to quickly upload a large number of images and video to the Instagram from your Apple desktop computer or Apple tablet. It can be rather useful especially if you take photos not only by the phone but also by the camera. Uplet is very easy to use and is implemented with the necessary minimum of interface elements. The solution is ideal for those who need to simply upload images/videos from the computer to their profile. 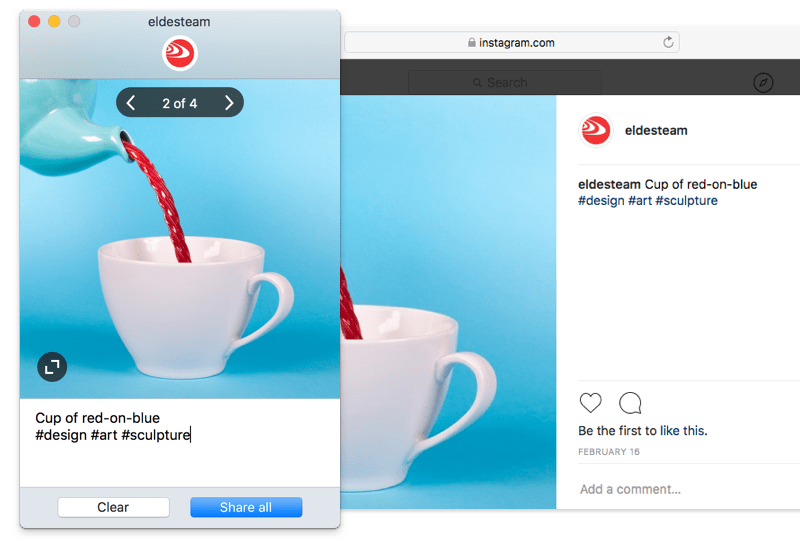 Drag and drop photos to the application window, provide each of the images with the caption, hashtags, emojis, upload photos in their full size absolutely with no hassle. By the way, Uplet supports multi-accounts, so you can have all your profiles at one place. Check it out. Requirements: macOS 10.9, macOS 10.10. 5.4MB free space. Version 1.4.3(124). (9th Jul, 2017). 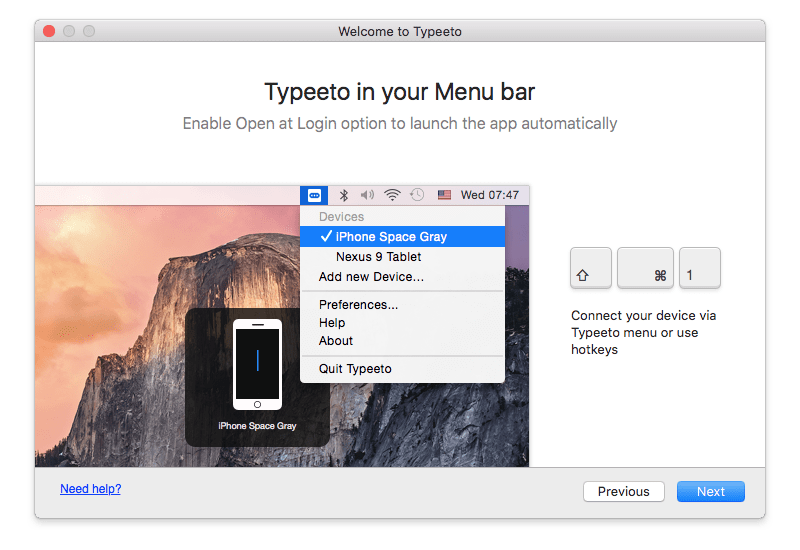 Typeeto is an interesting application that you could find rather handy as it allows you to use the Mac keyboard as a Bluetooth keyboard for other devices, such as the iPad, Apple iPhone, Apple TV, etc. Typeeto allows you to use a full-scale keyboard for text input, which will be displayed in real time on the device screen. There is no need to install any other apps on the devices. Simply connect your Apple computer and start typing. The devices will connect to it as a regular Bluetooth-keyboard. The app offers support for hotkeys as well as multimedia control keys, common clipboard, switch between devices with a single click, and the unlimited number of connections. It is extremely convenient and quick. Requirements: OS X 10.9+. 53.6MB free space. Version 7.1(1650). (20th Jan, 2019). 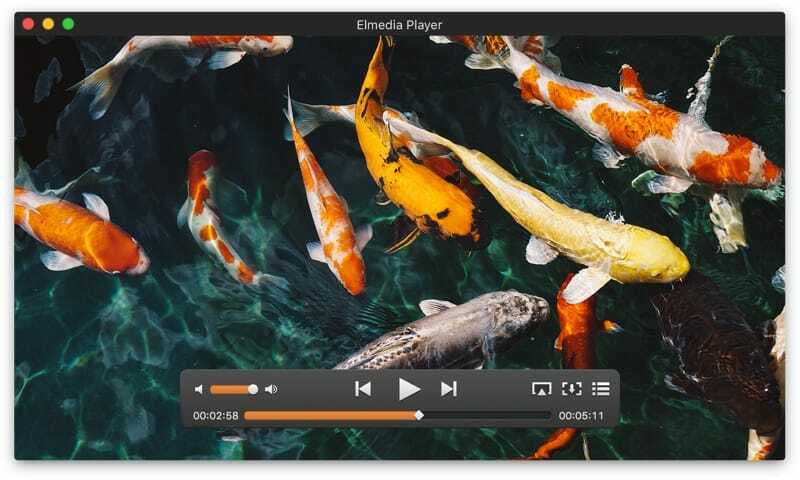 Elmedia Player is one of the most functional players for the Mac platform with a number of unique features. The app supports almost all video formats: FLV, SWF, XAP, WMV (Silverlight), RM, RV (Real), AVI, MOV, MP4, DIVX, etc., so there is no need to have several video players on your computer. In addition to supporting multiple formats, the app allows you to download video from YouTube, Dailymotion, Vimeo, etc. By the way, while using Elmedia Player, the volume of the video can be adjusted independently of the system volume, that can be rather handy. One more feature worth noting is that Elmedia Player has a built-in function to create one or series of screenshots at a specified interval. In short, download streaming video, download video and audio from YouTube, configure audio, create screenshots, stream to Apple TV and some others. All this and even more is perfectly gathered in one app called Elmedia Player. Requirements: macOS 10.8. 50.74MB free space. Version 7.3.434. (26th Jan, 2019). 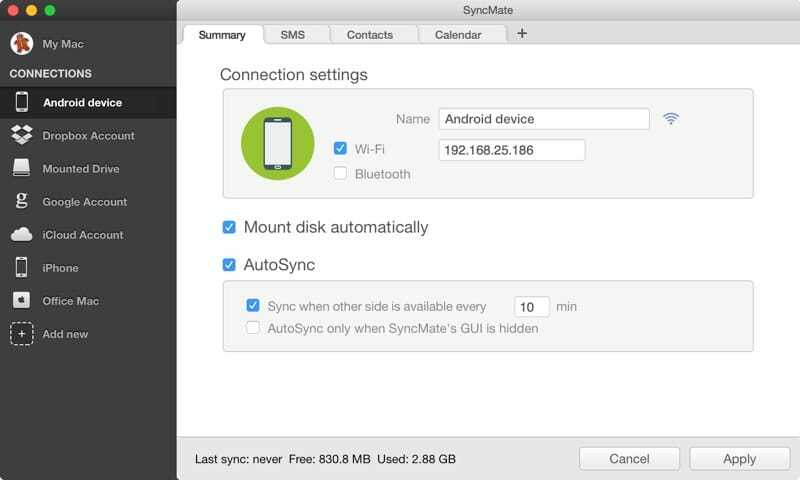 It should be noted that this app would be interesting, first of all, to those users who use Apple's Mac technology and who have many different devices, accounts, and drives, as SyncMate allows you quickly and conveniently to copy data and synchronize all the information between them all. You can synchronize contacts, messages, videos, any files and folders, iTunes, Photos albums, bookmarks, and reminders plus a bunch of other content from your mobile devices to the Apple Macintosh computer. Besides that, the app makes it possible to read, send and even delete SMS messages as well as allows you to see the history of calls. The most important is that the process of synchronization and copying of the data is done automatically and in the background. SyncMate is a practical and convenient solution as you no longer have to install many individual applications. 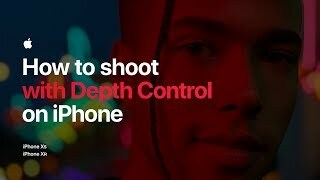 The app allows you to seamlessly work with all the supported devices (iPhone and Apple iPad, another Apple MacBook or computer, external drives, cameras and other media devices). In addition, SyncMate has the possibility of local content exchange without loading it into the cloud that ensures the protection of personal data. Requirements: OS X 10.7+. 15.46MB free space. Version 3.7.205. (17th Jan, 2019). While using Airy, you can download videos from YouTube to your Mac or PC absolutely with no effort. Airy is an advanced alternative to the traditional ways of downloading YouTube content through a browser and besides that it provides you with more possibilities. The great advantage of this app is that it allows you to choose the quality and format of the saved movie - FLV, 3GP, WebM or MP4. With the help of Airy, you can download not only videos but also playlists, as well as the entire channels. Even more, the app allows downloading both protected videos, and those that have an age restriction. It’s also worth noting that, Airy can easily extract an audio track from the video and convert it into MP3 format that can be very convenient if, for example, you find a video with an interesting track that you want to transfer to your phone. The software is fully compatible with the iPhone and iPad. By the way, the app can be integrated directly into the browser. Requirements: OS X 10.9+. 73.14MB free space. Version 5.7.13779. (14th Jan, 2019). Folx is a convenient torrent client. Folx is implemented in a modern interface with resolution support for Retina displays and offers a unique system for sorting and storing downloaded files with preview capability. With the help of Folx, you can restore the interrupted downloads, split the download into several threads, regulate the speed, assign tags to the downloaded file, make notes for the file. The app has a great filter for sorting allowing you easily find any of the downloaded files on your Macintosh Apple machine. Thanks to its own plugin and extensions, it is possible to automatically intercept links from web pages. Folx Pro includes all the necessary set of functions for downloading and creating torrent files, provides access to the scheduler, can integrate downloaded files into the iTunes library, supports search by torrent trackers, allows you to download video and audio and save passwords for websites. In other words, the app allows you to download content simply and intuitively. Requirements: macOS 10.10. 8.8MB free space. Version 1.2. (21st Aug, 2017). Cargo VPN completely encrypts all your traffic, so the possibility of losing your personal data tends to zero. The main advantage of this app is a large number of servers in different countries all over the world. Moreover, the app itself will suggest you which server it is best to connect to at the moment, in order to ensure the stable Internet connection. 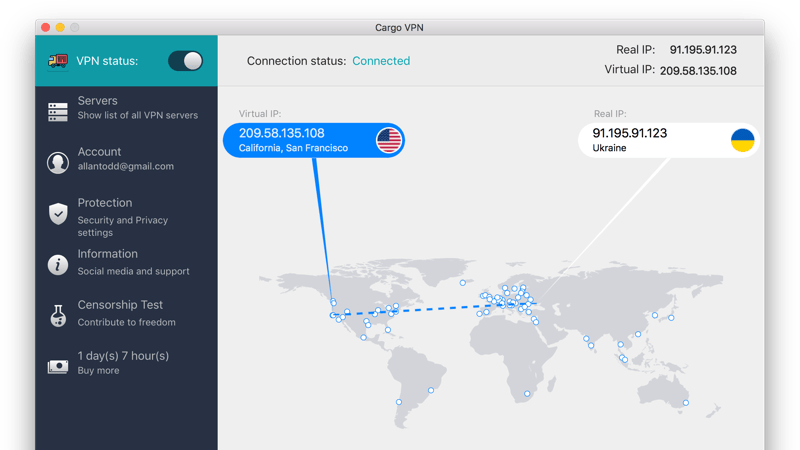 Even more, Cargo VPN makes it possible not to lose the connection speed, so you do not need to worry about that. Also, you can select one of the four VPN connection protocols. Each of the protocols can find a use for different purposes. The app is compatible with macOS and iOS. This site isn’t affiliated with Apple. All trademarks and copyrights on this website are property of their respective owners. © Copyright The Apple Collection 2019. All Rights Reserved.